Los Angeles studio Standard Architecture co-founders Silvia Kuhle and Jeffrey Allsbrook has designed a modular mega structure for P.O.D.System Architecture which is collaboration between Dezeen and Adidas Originals called P.O.D.Plexus. 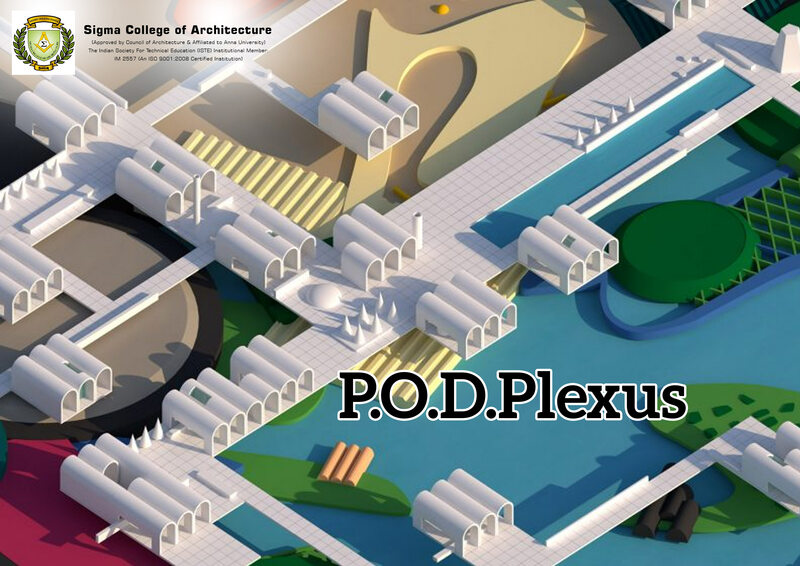 It is the third P.O.D.System Architecture concept to be revealed. Like all P.O.D structures, the Plexus was based on the modular aspect of Adidas' shoe which consists of three distinct modular components designed to offer shock absorption and stability to its users. The project merges two very distinct pairs of architectural forms. One of them is the vault, which is an enclosed structure which usually has solid walls on both sides and a vaulted ceiling above and the other is transparency, which is basically emptiness. Standard Architecture co-founders Silvia Kuhle and Jeffrey Allsbrook looked to modernist ideas from the 1960s to create a structure composed of modular pods. They also said “The images that Adidas sent us of the shoe were very graphically interesting. That inspired us to look to the landscape as kind of a graphic landscape”.